The Brute Male Armor is the apex of a male sci-fi warrior. These sets of heavy, and rough armors have been engineereed through modular components with hardened helmets, protective torsos, battle-ready lower sections, and combat arms. Delivering a perfect balance between imaginative features and practical, real-world designs. Several techniques and processes have been employed to create and refine these armored character bases that not only look cool, but that also offer logical battle functions. 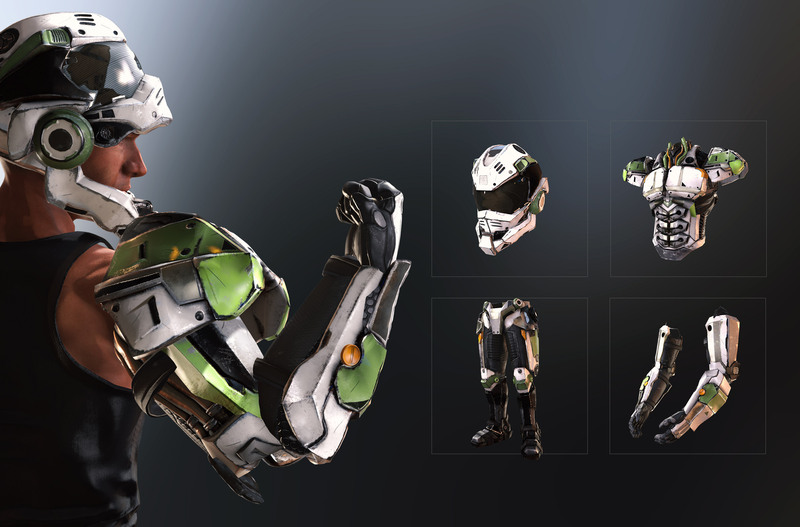 One Brute Male Armor is composed of three different sets of PBR materials used separately for each helmet, torso, lower, and arm segments. 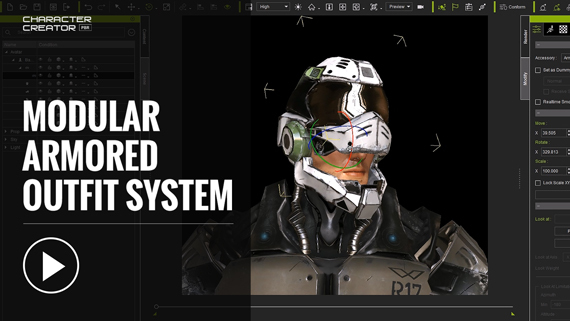 Additional materials have been provided in 4K resolution for ultimate render quality and details. 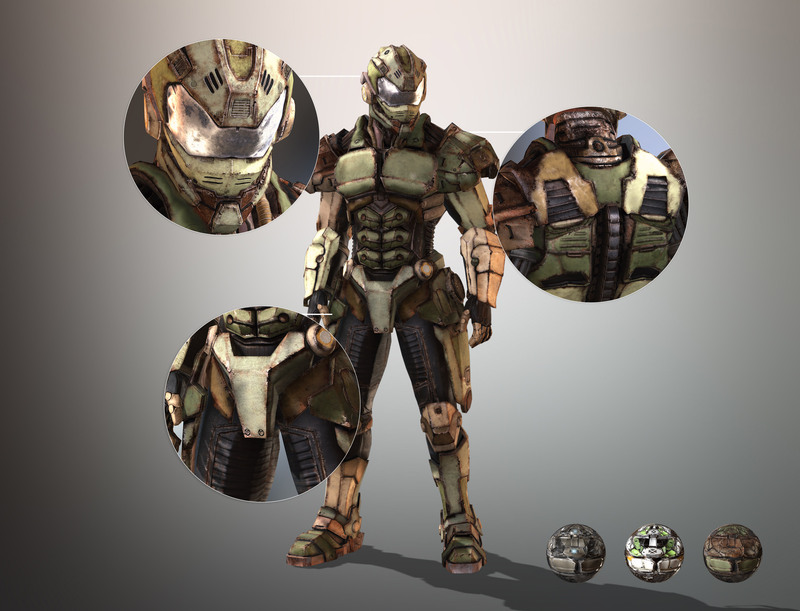 The Male armor system consists of a protective torso, lower battle section, combat arms, and a bullet-proof helmet glass with a rectractable face visor. You can also remove the helmet entirely to carry on hand. You are able to freely assemble and combine these armored components with your existing Character Creator outfits to create brand-new character styles. The Battle Mech Series - Brute Male Armor pack is part of the Battle Mech Combo. 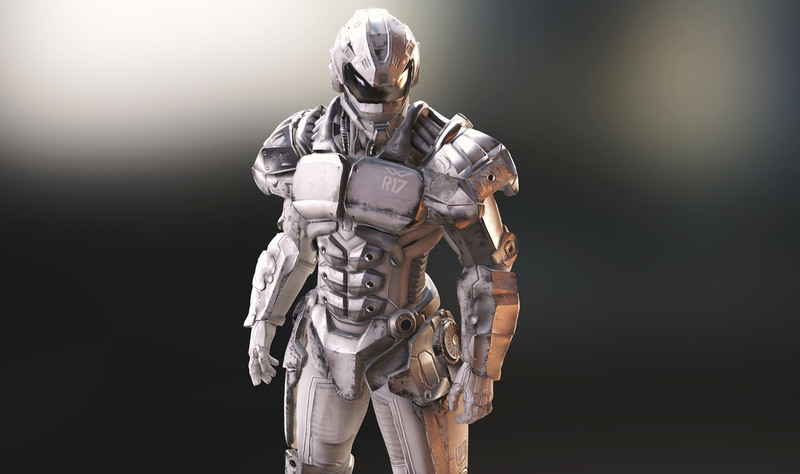 The Brute Male Armor is a set of sci-fi male characters and their armored outfit systems. This rugged, heavy armor base gives any hero a tough and futuristic look. In addition to their unique mechanical designs, these components are fully compatible and conformable with other real-time Character Creator outfits. The four-piece heavy armor system is made up of a protective torso, a battle-ready lower section, combat arms, and a hardened helmet with a rectractable face visor. This pack includes three sets of highly-detailed material presets - Steel, Alloy, and Rust. 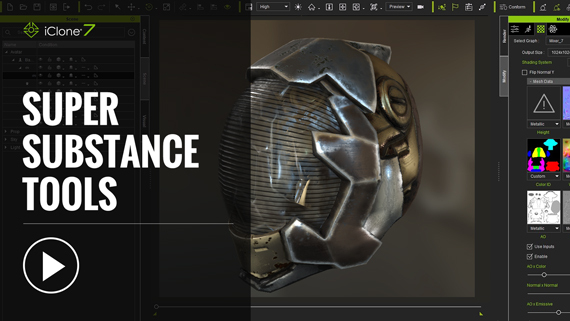 Including distinctive PBR materials that give you flexibility for building contrasting clans and factions, or adapting your characters to various environments during missions.